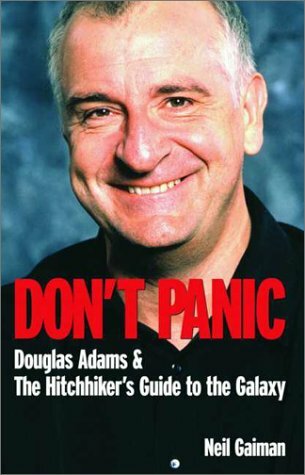 Don't Panic: Douglas Adams and the "Hitch-hiker's Guide to the Galaxy"
I've recently re-read this, and since the book was written in 1987, the history of Douglas Adams and the whole HHGG stops shortly after the 4th book (So long and thanks for all the fish) with quotes from DNA protesting he wouldn't write a 5th book - which we know he did! The book covers the history behind all the incarnations of the HHGG genre, including books, TV, Film, computer game. Split into short and easily read chapters, a must for every DNA fan! However, I might have to buy the updated edition (written after DNA's early death). My only criticism is that Neil Gaiman sometimes "tries" to hard to be funny, using the style of Douglas Adams - whereas Neil has his own perfectly funny, comic style! Since I've received the new edition of this book as a Birthday present from my very lovely sister katethebass, I am going to take this copy to the next meeting of the Zurich Bookgroup as we are discussing HHGG, and hope someone takes it away! Or, I will release this copy as part of my HHGG Movie Premiere Release Challenge which is taking place at the Zurich HHGG movie premiere on May 27th @ the Kinoimhb event. I'm really looking forward to it, especially because of the HHGG Premiere tomorrow. 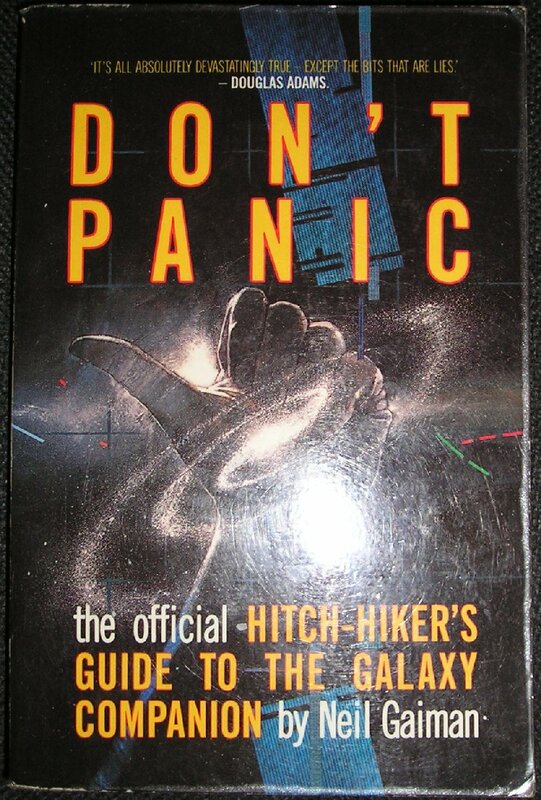 Don't Panic: Douglas Adams and the "Hitch-hiker's Guide to the Galaxy: Neil Gaiman --> Given to Sepukku at the bookgroup last night.